It is very important that you choose the correct size ball for your dog. Tennis balls or any soft ball that bounces and rolls may be used. Some handlers use squash balls for the little dogs if the tennis ball is too big. Cat balls or small tennis balls from pet shops and kids games can also be used. The jumps are a set size and a basic design which are simple for any handy person to make. The cross boards have to be standard white in colour and the side boards may be of any colour or sponsorship advertising. Most clubs have two sets of jumps and will use their club colours. For example, one set will be blue and one set red. Then during demos and competitions the spectators know who is racing in the blue lane and who is racing in the red lane. This helps the spectators know what is going on and they can barrack for which ever team they like. There are various styles of boxes from which a team/club can choose. As long as they comply with the AFA rules of measurement and are mechanically triggered, they can be of any design. 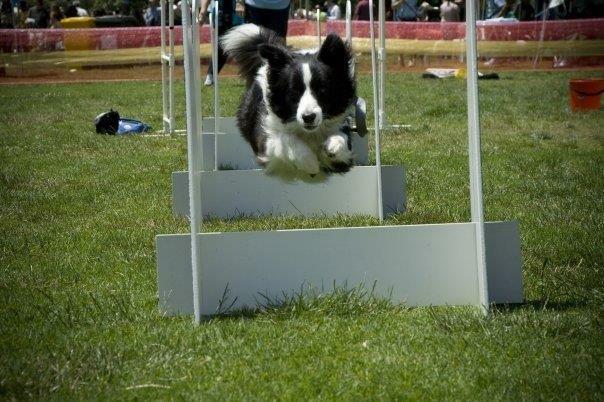 Many of the newer boxes used by teams in Australia are boxes made by Phil Lea ([email protected]) Top Shot Flyball - see web page link below. 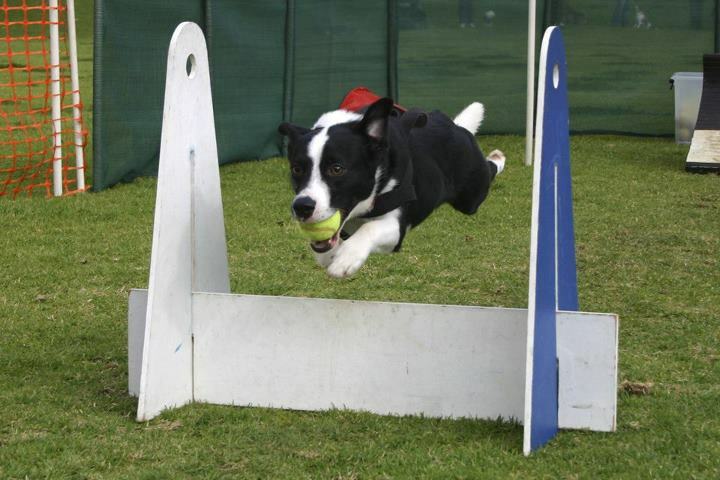 Flyball boxes can have one, two or three holes for the ball. The idea behind this is that dogs often turn better if the ball is off-centre. Some dogs naturally turn to the left, others to right. Smaller dogs may turn best if the ball is in the centre hole. The AFA has 6 sets of electronic start lights and timing equipment that are currently used in competitions in the eastern states of Australia. In addition the AFA has 3 of the Older EJS lights systems which are used for demo purposes only (ACT, TAS, NSW). While electronic timing eliminates the inevitable inaccuracies when using hand held stopwatches, it is not necessary to have starting lights and electronic timing to conduct a sanctioned competition. However, electronic timing is required to have an Australian record recognised by the AFA.